Teresa joined the real estate industry since 2009. Prior to joining the industry, Teresa's life was full of vivid and amazing experiences. With a diverse range of experiences in international brand marketing and business development, she has established a far-reaching network that places her in the right position to cultivate and foster partnerships with clients, landlords and developers in China and around the world. She was named Miss Friendship and was the first runner-up at the Miss Hong Kong pageant. She also represented Hong Kong to participate in the Miss World contest held in London. After graduation from Ryerson University in Canada, she worked as an international travel consultant in Toronto and travelled almost every corner of the world. After returning to Hong Kong, she worked at a few well-known international fashion brands as part of the senior management, where she was held responsible for operations, sales, marketing and business development. Later in her career, she founded her own consulting firm to act as the marketing agent for international fashion brands and skincare products. 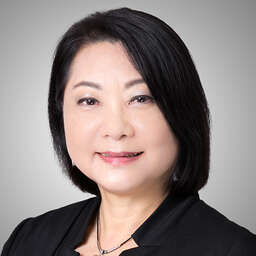 Teresa is also a longtime member of Wai Yin Association and Vice Chairman of Asset Management Committee of the association, actively supporting and promoting charitable works and services for the needy in the society. Teresa is passionate about assisting clients to find homes which best fit their needs within their constrains. Fluent in English, Mandarin, Shanghainese as well as Cantonese, also practice Japanese language, and having lived and worked in the West as well as China, she is well positioned to serve clients from different cultures and backgrounds.